The Polegate Community Association was formed in 1961 by a group of local residents led by Geoffrey Maynard, Norman Dibble and Arthur Hanmore. The aim of the PCA was to further the educational and recreational needs of the inhabitants of Polegate. The Association began to enroll members and held regular meetings with the intention of arousing interest in the building of a hall. 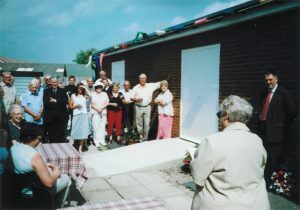 The majority supported the idea and after eight years of fund-raising, the Community Centre was finally officially opened on May 10th, 1969. In 1959 the only halls in Polegate able to seat 100 people were St. Johns (now Free Church) and the Junction Hotel; the village Youth Club found a home at my Tudor Cafe. New estates were pushing the population up to 8000, with many newly retired residents demanding better facilities. As leader of the Youth Club I became involved. The Club needed a permanent home and many others in the village were wanting a building where they could carry out their leisure activities. Nothing happened until I called the first public meeting and was elected Chairman. The hall was full. “All those in favour?” Yes, the demand was there, but HOW? WHERE? and WHEN? The Centre might be in Gosford Way, St. Johns Road, Station Road, Wannock Road, Sayerlands Road – and the type of building? All were investigated, discussed and argued over. Personalities clashed but a lot was achieved by the Pilot Committee in the first year. Then came the Inaugural Meeting of the Association. Again a packed hall – 95% in favour of proceeding, 5% saying “It will be a white elephant” and “This can only be a burden on the rates” to name just two comments. The Officers, however, worked diligently. Supported by an Executive Committee and Council, all were determined that the scheme should succeed. Grants were promised by the Government and the County Council, the first estimate in 1960 – £12,000, the final figure in 1969 – £24,000. Everything possible was tried in fund-raising; sections were formed; membership increased rapidly and the building finally reached its target by the opening ceremony on 10th May 1969. Everyone was exhausted, a few marriages were nearly in tatters, but Polegate received its Community Centre to great applause. After 10 years of combined efforts, our dream was realised. In 1969 Polegate Community Centre was opened. But very soon it became clear that bigger premises were required. So many groups were using or wanting to use the Centre, it was not possible to satisfy the demand. In 1975 an extension was built to house the Windsor Clubroom and the Activity Room, built on an area of the original Car Park at a cost of £27,000. At the time there were insufficient funds to pay for it, and with the aid of a Parish Council precept on the rates of one year, £10,000 was granted. 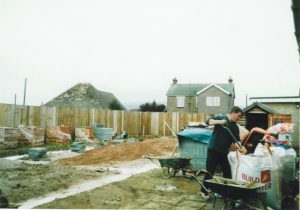 More local fund-raising helped to improve and maintain the building and grounds. When we opened in 1969, the East Sussex County Council had employed and paid for a combined Warden / Youth Leader and a Secretary. Both of these facilties were withdrawn in 1979, which meant that we had to reorganise our management structure and pay for all our employed staff. In the late 1970’s a further expansion was planned, and it was decided that a larger Main Hall would benefit more functions and groups and give additional storage space. A new, larger stage area was built at the opposite end from the existing stage, with extra storage in the cellar below, a store to one side and a dressing room / committee room added, all completed in 1982 at a cost of £42,500. Money raised over the following three years paid for this by events organised by a special Fund-Raising Committee and by Sections and groups of the Centre, coupled with a loan scheme from many individuals at a low interest rate. By the end of the 1980’s however, the continued success of the Centre meant that to continue its growth and to provide the best for most people, a Development Plan was needed. The old shingle Car Park was tarmac’d; the kitchen area was re-designed to provide two separate kitchens; and the Lounge completely refurbished with a new ceiling, lighting, bar area and complete redecoration. Next the Activity Room received similar refurbishment. All this cost £44,0000 and was once again paid for by all Community members, led by another Fund Raising group. 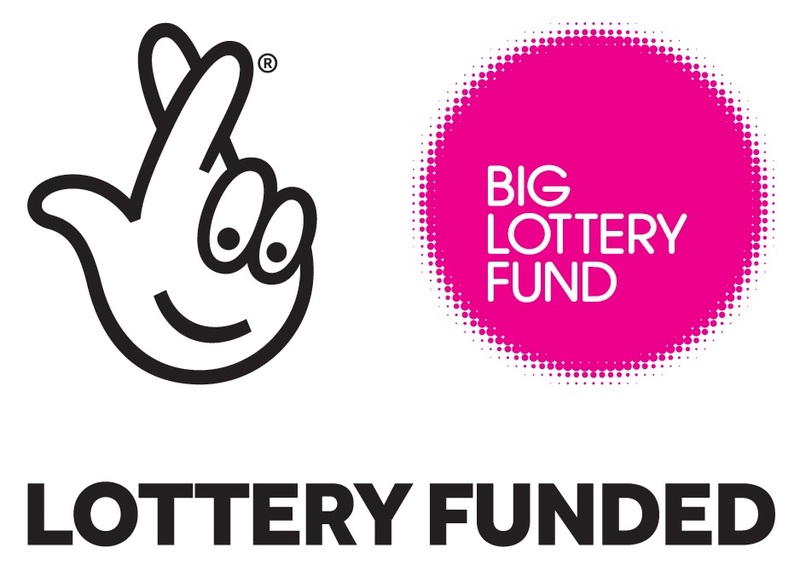 I have dealt briefly with the “bricks and mortar” issues but must stress that the Centres’ real success is down to hundreds, if not thousands, of people who through dozens of activities ensure that we continue to thrive. Today, Polegate Community Centre is considered to be the finest of its kind in East Sussex and is the flagship of the East Sussex Federation of Community Centres. Our range of activities embraces every age group from playgroups through to a senior citizens club. Its strength lies in its membership of nearly 2000, also in its nine active sections consisting of Badminton, Sequence Dancing, Short Mat Bowls, two Fund Raising sections, Table Tennis, Social Section, Drama and last but not least, our licensed Windsor Club. All this is backed up by strong management committees, ensuring we are not a drain on public funding. We also boast forty-four affiliated groups and most of these use the premises at some time during the course of the year. 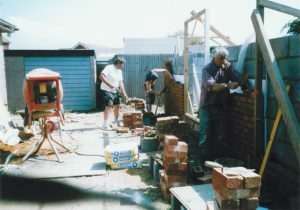 I’m sure the founder members and workers who put so much time and effort into the Community Centre’s opening twenty-five years ago would be proud of what we have today. There is no need to be lonely or bored. Our Community Centre is open to everyone. New members are welcome to join our activities, meet new friends or help us in running the Centre and making the next twenty-five years as successful as the last.